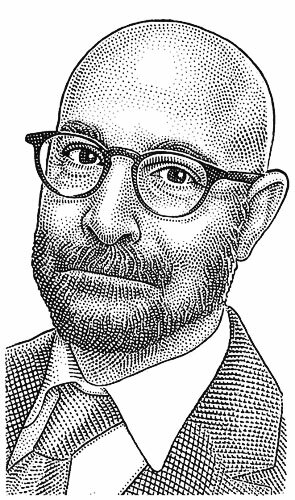 I had some free time between corporate stipple portraits and drew Stanley Tucci hedcut for my personal pleasure. His photo was laying dusty and looked at me with some reproof about a month or so and finally I did it. Usually I use dots for the head and shoulders both but this time I applied crosshatching lines somewhere. I use lines less often than dots, and if I need to make line bolder I just put row of dots on it. So crosshatching is a kind of challenge and I will definetely come back to this technique one day.